The amazing Giant’s Causeway spans around 40,000 interlocking basalt columns that were caused by an ancient volcanic eruption (50–60 million years ago) in what is now County Antrim, Northern Ireland. 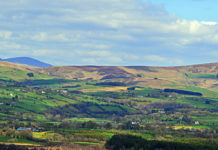 The area represents great scientific importance and in 1986, It was declared a World Heritage Site by UNESCO, and a national nature reserve in 1987 by the Department of the Environment for Northern Ireland. The tops of the columns form stepping stones that lead from the cliff foot and disappear under the sea. 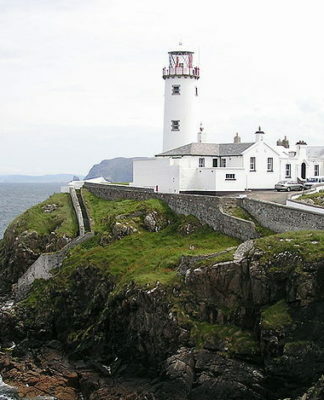 It has become one of the most popular tourist attractions in Northern Ireland. The area’s uniqueness has sprouted many legends and myths over the years. According to one of these legends, the columns are the remains of a causeway built by a giant. Fionn mac Cumhaill (Finn MacCool), from Gaelic mythology, who was challenged to a fight by the Scottish giant Benandonner. Fionn accepted the challenge and built the causeway across the North Channel so that the two giants could meet. Some say Fionn defeats Benandonner. While other legends claim that Fionn hides from Benandonner when he realises that his enemy is much bigger than him. In an attempt to save her husband’s life, Fionn’s wife, Oonagh, disguises him as a baby. When Benandonner sees the size of the ‘baby’, he reckons that its father, Fionn, must be a giant among giants. He flees back to Scotland in fright. Destroying the causeway behind him so that Fionn would be unable to chase him down. 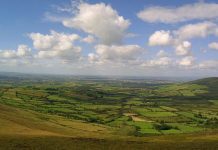 Other legends claim that Fionn mac Cumhaill was a hero with supernatural abilities. According to Fairy and Folk Tales of the Irish Peasantry (1888), “the pagan gods of Ireland […] grew smaller and smaller in the popular imagination until they turned into the fairies; the pagan heroes grew bigger and bigger until they turned into the giants”. 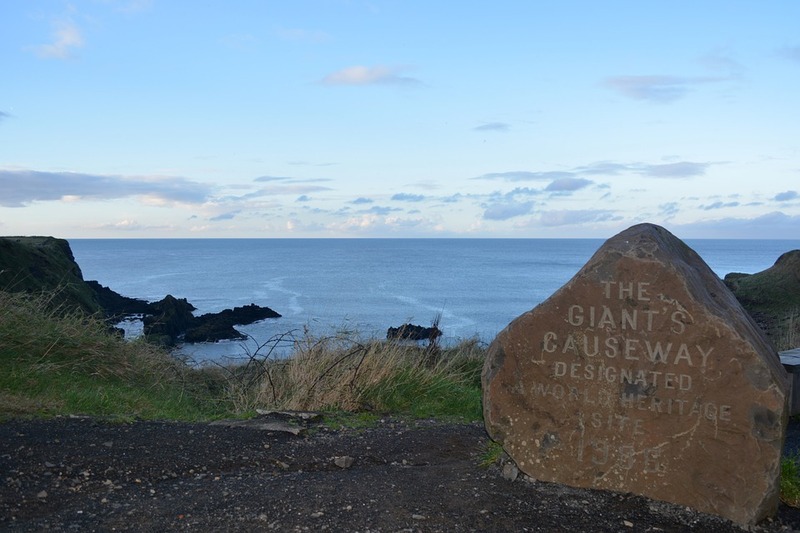 When the Bishop of Derry visited the area in 1692, the Giant’s Causeway became better known. Gaining more and more popularity over time. It received international attention through Dublin artist Susanna Drury’s watercolour paintings of it in 1739. It gained popularity among tourists in the nineteenth century following the inauguration of the Giant’s Causeway Tramway. Visitors can enjoy a walk over the beautiful basalt columns lying right at the edge of the sea. Along with enjoying the stunning panoramic views on offer. 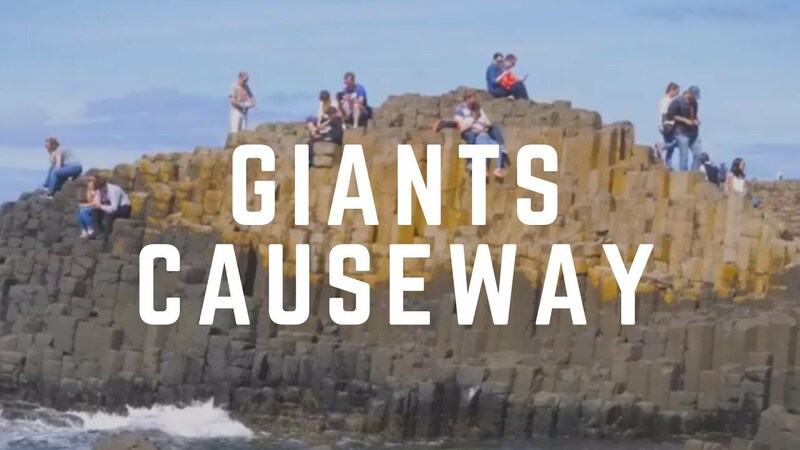 Described by CNN’s John D Sutter as “Northern Ireland’s most popular attraction”, the Giant’s Causeway offers tourists plenty of opportunities for exploration and adventure! 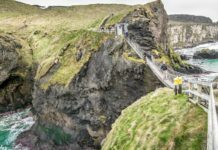 The Giant’s Causeway Visitor Centre offers tourists walking and hiking tours of the most popular attraction in Northern Ireland. 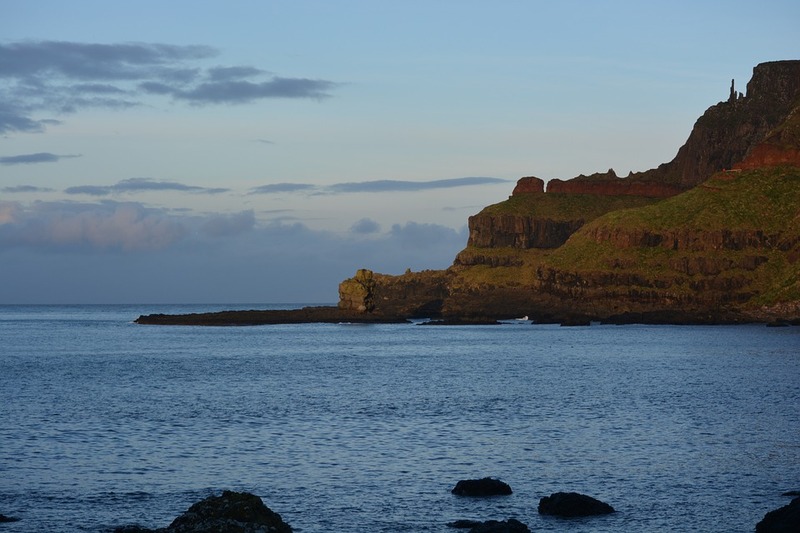 Starting at Dunseverick Castle, the tour follows the Causeway Coastal Route in a 4.5-mile hike that takes around 2 hours. Tourists can enjoy the ocean waves along with the surrounding farmland. They finally arrive at ‘The Shepherd’s Steps. 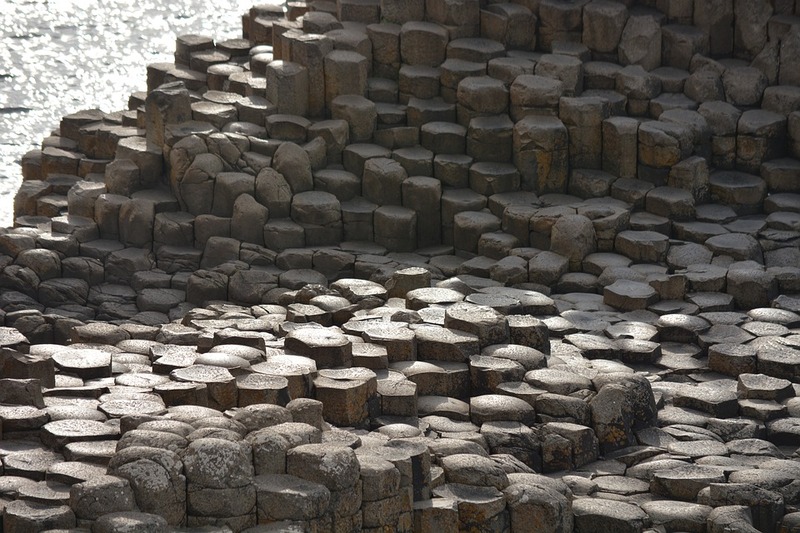 Consisting of 162 stone steps down to the columns over the bay and the Amphitheatre down to the Giant’s Causeway. It’s definitely an opportunity that should not be missed! 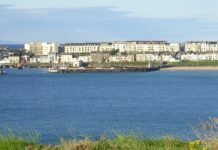 You cannot visit one of the most famous spots in Northern Ireland that overlooks the ocean without taking the chance to sit back, relax and watch an amazing view of the sunset. Also, if you’re interested in photography, we can guarantee that you will not find a better location for capturing stunning photos of the nature that surrounds you. The natural beauty of the Giants Causeway makes for a photographers dream. So be sure to bring your camera along for the trip. If you want to venture into the water yourself, then what better way to do so than to go kayaking? Tourists of all ages may go on this adventure and enjoy their time paddling through the sparkling waters of the ocean. Dunluce Castle is a medieval castle in Northern Ireland, County Antrim. The castle is surrounded by very steep drops on each side. 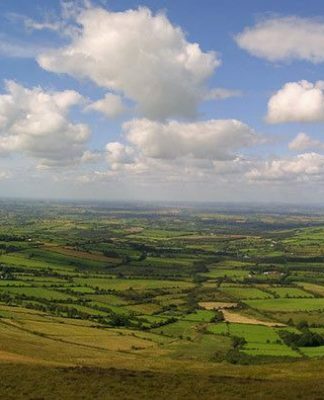 Which is what drew the early Christians and Vikings to this place where an early Irish fort once stood. This historic castle has been the site of numerous battles, over a one hundred year period it was besieged numerous times. It is also a location of many legends. A local legend states that at one point, part of the kitchen next to the cliff face collapsed into the sea. 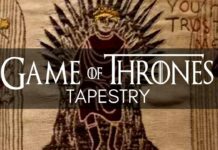 Another story revolves around Maeve Roe who was locked away by her father in the castle’s north-eastern tower for refusing to marry her suitor. However, she managed to escape with her true love and fled to Mermaids Cave where they fled by boat. But they were dashed against the cliffs. Maeve’s ghost is said to still sweep her prison tower. Another legend involves the MacDonnells, who after their expulsion besieged the castle more than once until their forces climbed into the corner towers and hanged the English captain. His ghost is said to haunt one of the towers. The castle has actually inspired many literary works over the years. Including Cair Paravel in C. S. Lewis’ Chronicles of Narnia (1950–1954). It has also been featured in the HBO hit drama series Game of Thrones, doubling as the stronghold of Pyke on the Iron Islands. 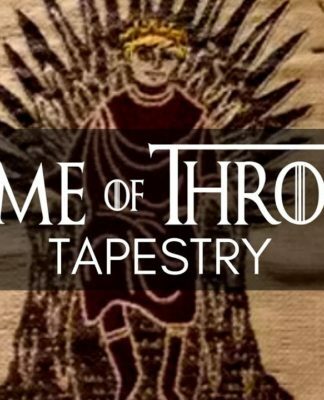 It is also said that the show’s Red Wedding scene was inspired by real events that happened between the McQuillans (the Starks) and the MacDonnells (the Freys). Proclaimed to be one of the most photographed buildings in Northern Ireland, the Mussenden Temple offers breathtaking views of the North Coast and spectacular 18th-century ruins. Downhill Beach begins from below the cliffs of the Mussenden Temple all the way to the Causeway Coast. 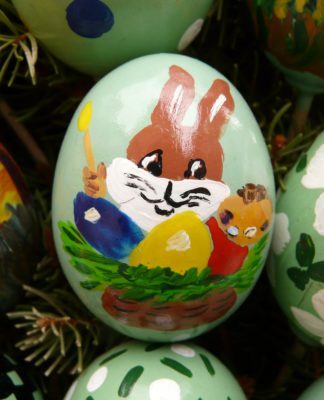 It offers a wide variety of entertaining activities for families and individuals alike. Including water sports, such as windsurfing, in addition to horse riding, scenic walks, and all the necessary facilities. Visitors will also find rocks that children are able to climb safely for fun. Which makes the beach a family-friendly environment. Downhill Beach is also popular for beach angling activities. The Downhill Beach is quite an iconic location nowadays as it was used in the filming of Game of Thrones. You’ll see this beautiful location featured in season two of Game of Thrones. The location was transformed into Dragonstone, where Melisandre burned the Seven Idols of Westeros. Another famous feature of the Giant’s Causeway is the Giant’s Boot (sized at 93.5), which, according to legends, was lost by Finn as he fled from Benandonner. Could it be that the legends are true?! You’ll have to see it with your own eyes to decide. It is said that this chair was made for Finn MacCool when he was a child. Legends say that all wishes made by anyone sitting on it will come true. Another of Finn McCool’s belongings that can be found at the base of the Giant’s Causeway is his camel. It appears to have been turned to stone after working tediously to carry its master back and forth. If you’re ever in Northern Ireland be sure to pay an extended visit to the Giant’s Causeway. To walk through the paths of history and legends, to find beautiful panoramic views and fun and entertaining activities, you definitely won’t regret it!